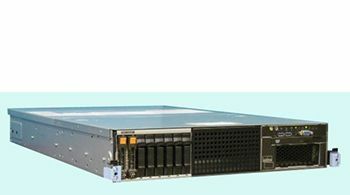 Tokyo, October 30, 2017 - NEC Corporation (NEC; TSE: 6701) today announced it has developed a massive-element active antenna base station system by which a Central Unit (CU) can control multiple Distributed Units (DU) with Centralized-Radio Access Network (C-RAN) configuration, suitable for use with next-generation 5G wireless communication standards. The system supports the low super high frequency (SHF) (*) band. One CU simultaneously controls multiple subordinate DUs, processes the data sent and received from DUs and controls coordination between DUs. 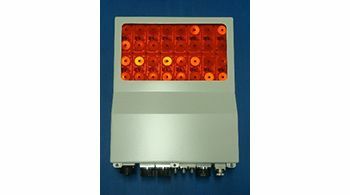 A DU consists of an antenna component, which forms directional signals (beams) to terminals such as smartphones and tablets, and a digital signal processing component, which forms suitable downlink beams from received uplink signals in real time. In general, for terminals positioned in a DU's cover area (cell) that are near the boundary of an adjacent DU's cover area, communication quality deteriorates due to radio wave interference. This system forms beams while the CU controls coordination between DUs, avoiding the deterioration of communication quality due to the radio wave interference from both DUs, creating a satisfying communication environment for each user. In addition, by appropriately switching the DU that controls coordination in response to a terminal's location, the system enables stable, high-quality communications for nearly any location. For communications between the CU and DU, generally known as Mobile Fronthaul (MFH), under a C-RAN configuration, as currently used in 4G (LTE) communications, conditions such as the required transmission capacity are prescribed in the CPRI Standards. However, for 5G communications, because the number of antenna elements and bandwidth size will increase compared to 4G, the MFH transmission capacity will grow. For example, in the case of a DU equipped with a multi-element antenna of 128 antenna elements (64 transmitters and receivers) using 100 MHz bandwidth, a transmission capacity of about 320 Gbps is required according to CPRI standards. This is equivalent to, or greater than, 60 times the amount of an LTE base station (2 antenna elements, 40 MHz bandwidth). It is economically difficult to manage such MFH communications with a currently common optical fiber of 10 Gbps. By moving functions such as radio control to DUs, which were formerly supported by the CU, MFH transmission capacity was reduced to 10 Gbps, less than one thirtieth of the conventional level. Thanks to the practical MFH transmission capacity, NEC successfully developed a massive-element active antenna base station system with C-RAN configuration. To achieve 5G in the future, NEC will conduct a demonstration test utilizing this system in cooperation with NTT DOCOMO. This system includes a part of the results of "The research and development project for realization of the fifth-generation mobile communications system" commissioned by The Ministry of Internal Affairs and Communications, Japan. "NEC is committed to solutions for society and will actively invest in research and development and demonstration tests to commercialize 5G," said Katsumi Tanoue, Deputy General Manager, Wireless Access Solutions Division, NEC Corporation. "Moving forward, NEC will achieve higher speed, larger capacity and more sophisticated communications services, thereby contributing to the development of more advanced communications infrastructure." * Super High Frequency: Radio waves with wavelengths from one to ten centimeters that fall within the microwave band with frequencies from 3GHz to 30GHz. Low-SHF refers to radio waves at frequencies of 3GHz to 6GHz.